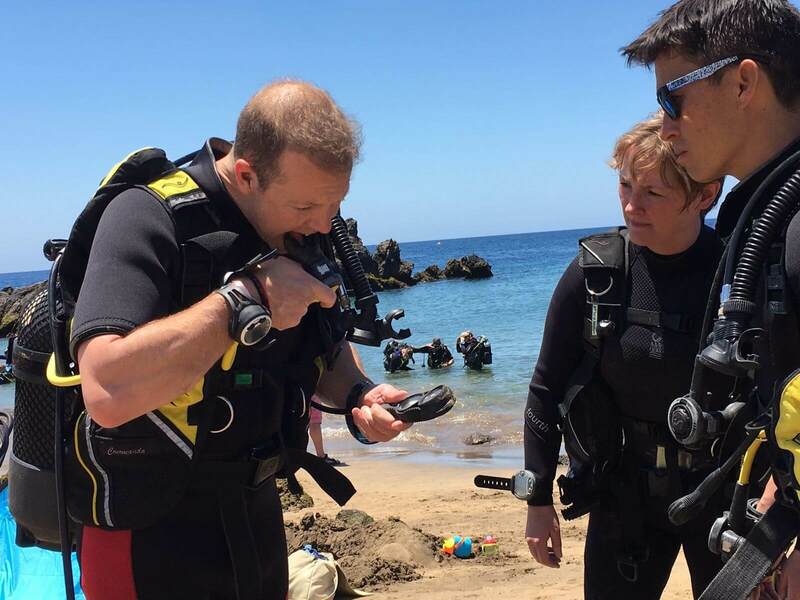 In June 2018, the Defence Cultural Specialist Unit (DCSU) conducted their summer adventure training expedition to Lanzarote, where they predominantly conducted the British Sub-Aqua Club (BSAC) Ocean Diver and Sports Diver training packages. 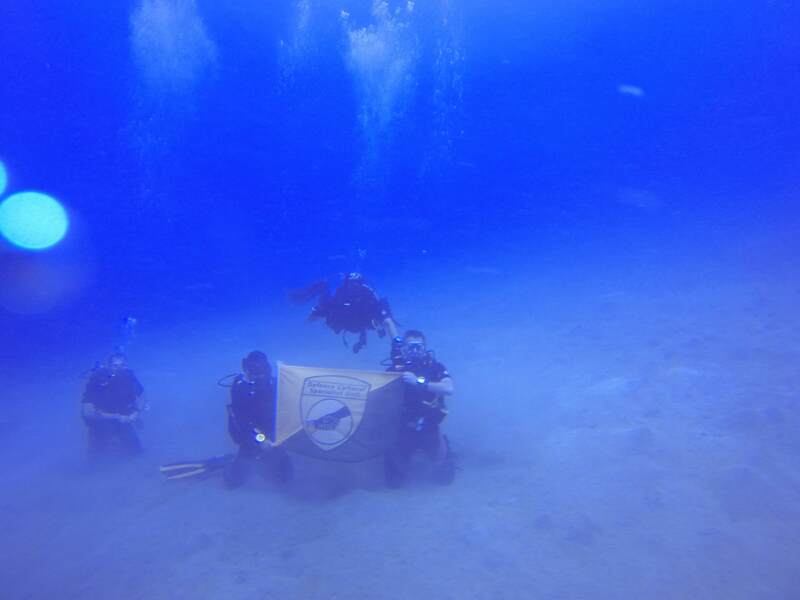 A hybrid team of 16 regulars and reserves trained 8 novice divers to BSAC Sports Diver standard at Safari Divers in Puerto del Carmen, which is a Ministry of Defence Approved Centre. The team came from a number of areas of the military including DCSU, 101 Engr, 521 STRE, 16 Med, CRHQ AGC, 32 Engr, RAF Henlow and MOD. There were further personnel progressed to Dive Leader and Advanced Diver as well, which is a healthy achievement for the future of military adventurous training. The group began with sheltered water training to allow familiarisation with their diving kit and skills and drills in a protected environment on the beach by the Safari Diver’s shop. 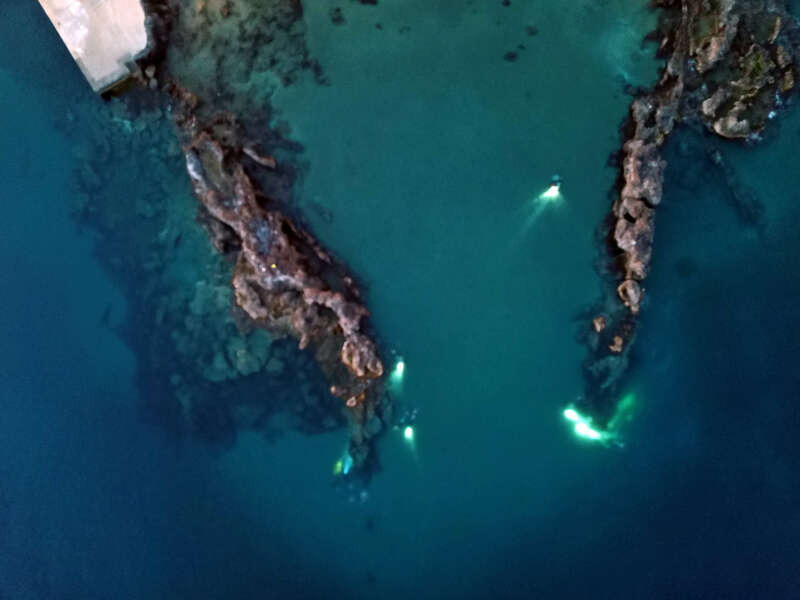 As the divers progressed and their confidence and ability increased, we ventured further from the beach into deeper areas which included exposure to the effects of currents. In this area we often saw large shoals of fish which were incredibly beautiful, moving altogether as a block. After a few days we began to use the Safari Divers’ boat for boat dives. 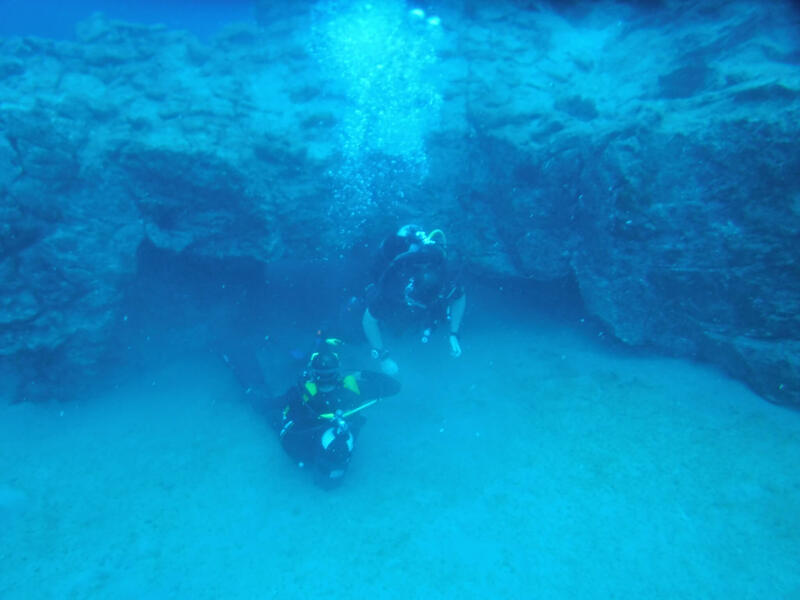 This meant we could explore more interesting dive sites, practice different styles of entering the water and begin to dive deeper with our students. Within easy reach of the centre there were two different wreck sites to dive and a lot of underwater lava formations, which provided a challenge to navigate while focusing on maintaining good buoyancy control to stay away from the mass of urchins defending the seabed with their long sharp spines. The current was quite strong in places but this just added to the challenge for our novice divers as they progressed. 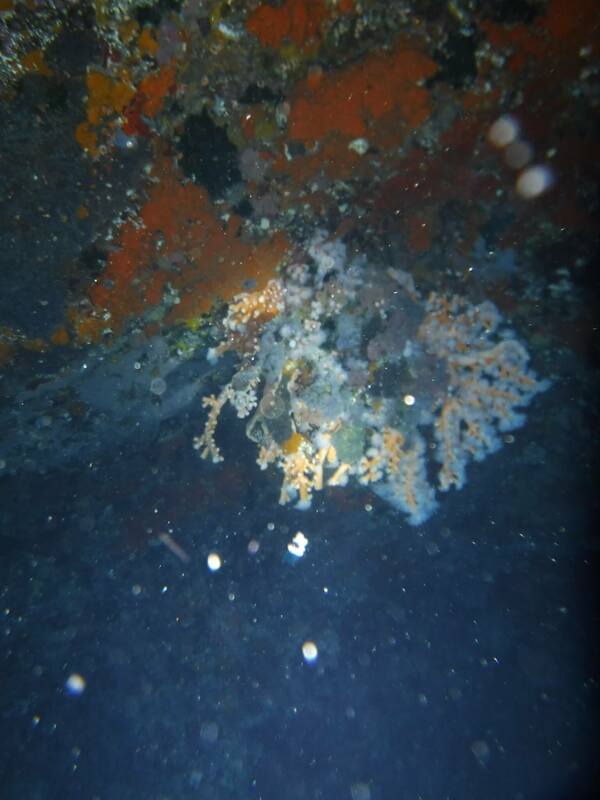 The favourite dive site of the trip was called Richie’s Reef and provided a wall to drift along: here you could see a rare piece of red coral in a cave, a memorial plaque to a deceased diver and enjoy a swim through some colourful marine life all in one dive! A couple of individuals were a little slower to be comfortable in the water than others, with one individual taking triple the normal weight into the water with him! The instructors did a buoyancy check on him one day and found that he had weights stored in all sorts of places. This shows that despite being military that we can still find ourselves out of our comfort zone and are keen to challenge and overcome this. 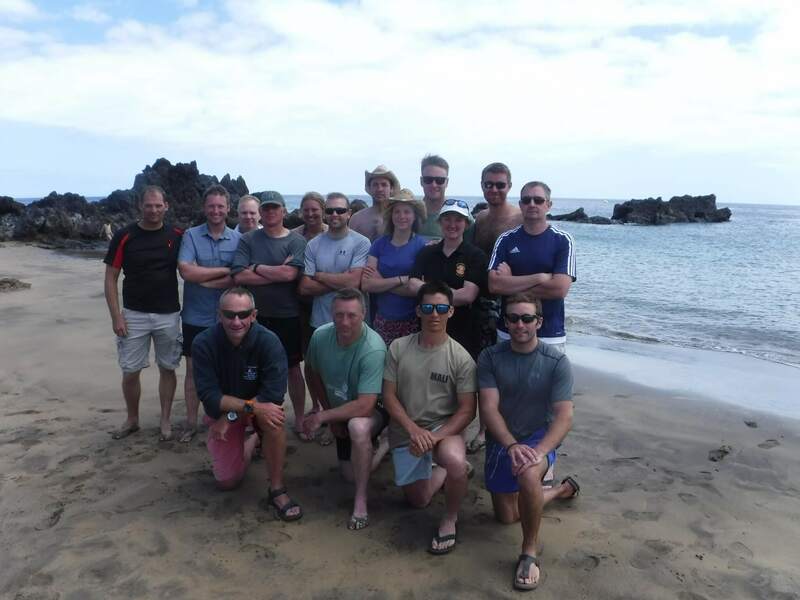 This expedition provided a group of people that are frequently deployed across the world on UK military tasking the opportunity to challenge themselves in an unfamiliar environment whilst at the same time having some respite from the usual rigours of the military operation and exercise schedule. 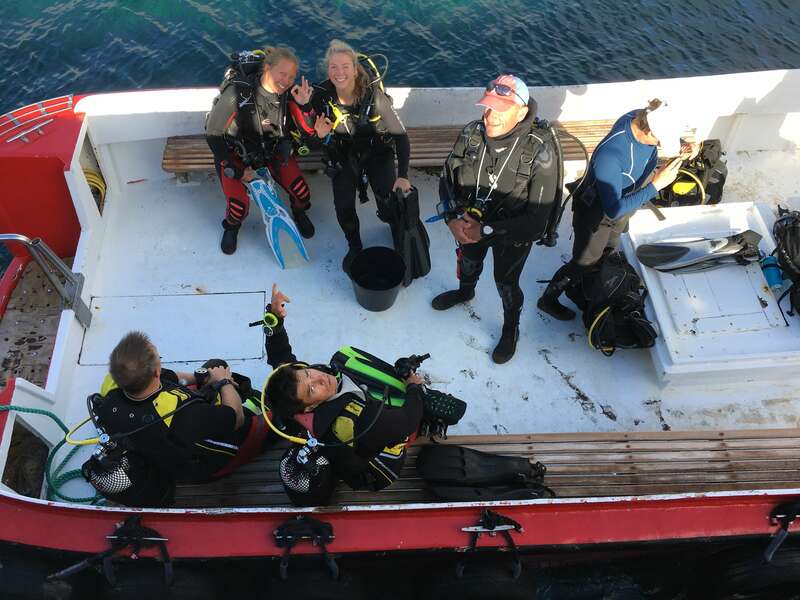 The group were very surprised at how fatiguing diving was and all returned from the trip needing a holiday (or booking one diving to the Red Sea!) but having learnt a lot and gained an experience to remember for some years. The Defence Cultural Specialist Unit is a hybrid unit of all three services, regulars and reserves. The unit provides cultural and regional advice to deploying assets within the military across the globe. As such a small unit, a major challenge is sustaining globally credible and current knowledge. As such there is a large dependency on the Reservists employed by DCSU as they hold a wealth of regional knowledge due to their own cultural backgrounds, civilian jobs or prior experience. DCSU endeavours to make them a welcome part of the unit and this includes invites to adventurous training to develop the Whole Force construct. Without support from organisations such as the Ulysses Trust, expeditions like this will become fewer and further between in the future and the much needed decompression from normal military duties will become a thing of the past.